The figures are largely unchanged from the July 2012 report mainly due to the S&P 500 index being virtually unchanged from last month. 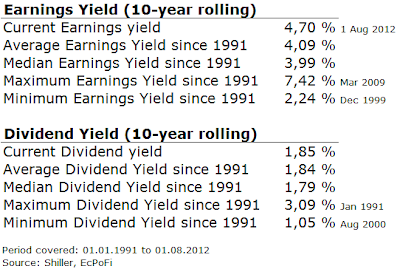 The earnings yield remains higher than average while the dividend yield is about the same as the historical average. 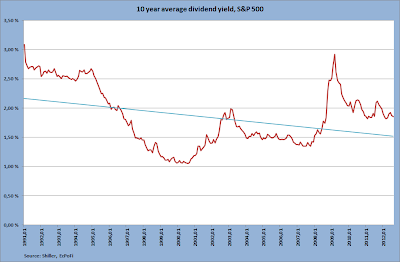 On balance, the S&P 500 remains cheaper than average when based on historical earnings and dividends alone. The spread (earnings yield minus 10-year treasury yield) also remained largely unchanged from that reported last month, currently standing at 3.12%. 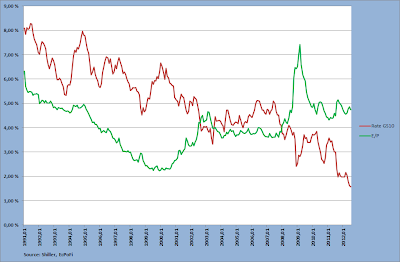 The spread remains considerably higher than average. One (of many) likely reason for this is that bond yields are artificially low due to the support from the Fed. 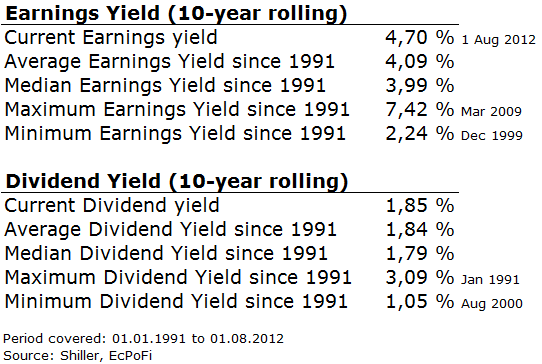 For the long-term investor, the current yields by themselves indicate the market is a bit cheaper than average in a historical perspective and that by itself might indicate this is not a bad time to go long the index. 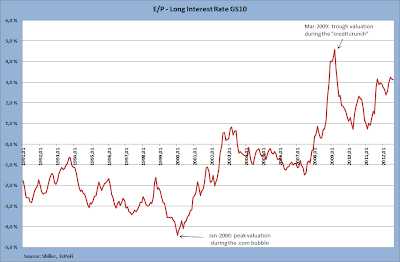 Chances are also the Fed will continue to support the stock market by keeping interest rates down for the foreseeable future and to continue to further increase the money supply. 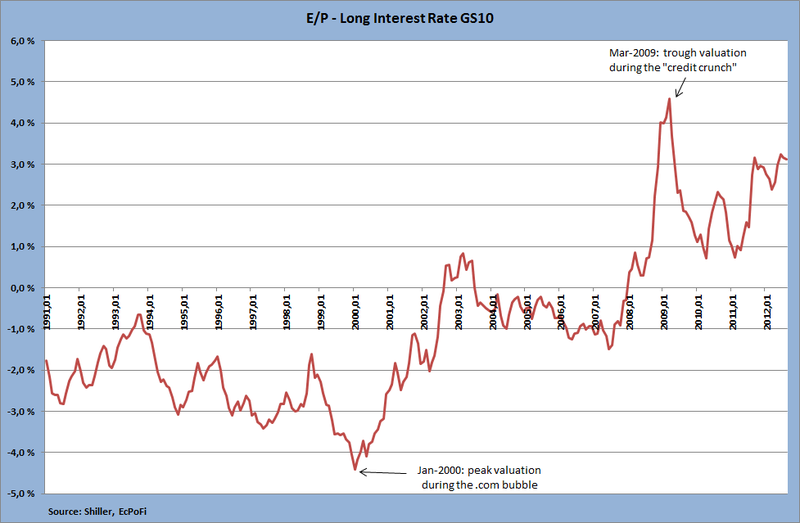 But, there are problems ahead and chances are that this time Europe will ignite the next financial panic. 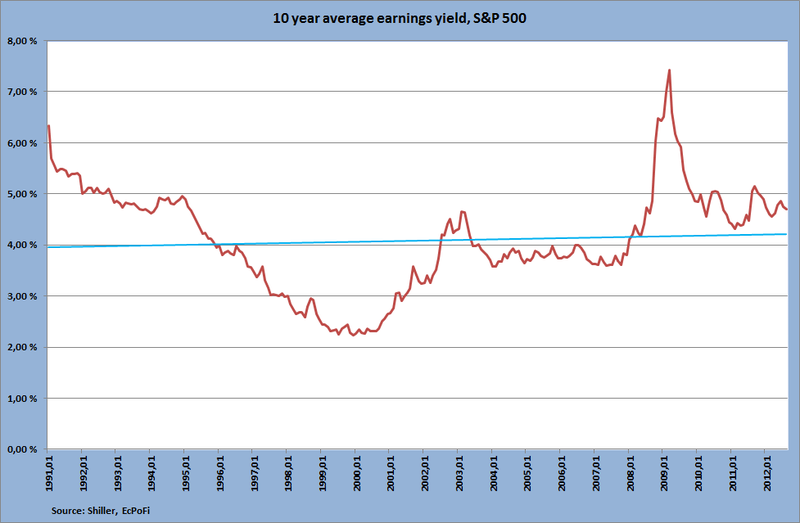 Valuations will then become much more attractive than now. 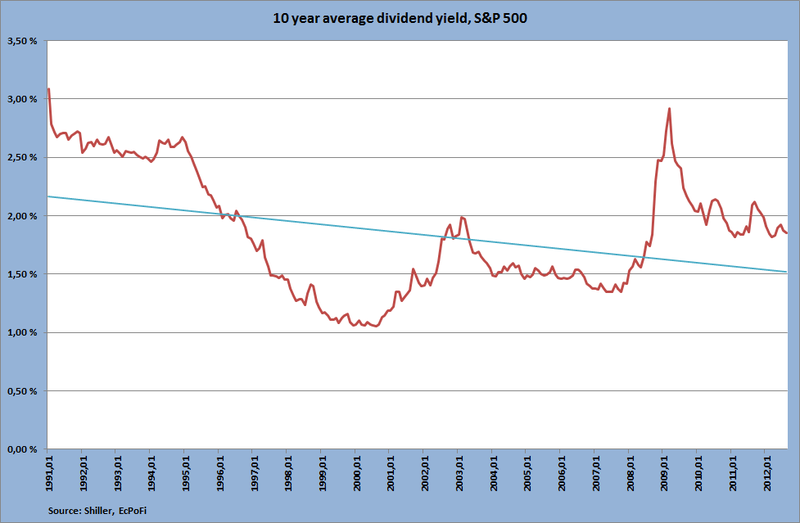 But relative to bonds, the S&P 500 is a much more attractive investment for the long term investor.